The annual report on the Spanish property market by consultants RR. de Acuña & Asociados talks of positive figures for GDP growth, employment, and household income together with accessible and favourable mortgages driving the recovery of the Spanish property market over the last three years.” But one coastal province – Castellon – is still in recession, and has a built-but-never-sold housing glut amounting to five years of demand. The inventory of resale homes in the Valencian Community’s Castellón province (home to the Costa del Azahar) is less serious. Acuña estimate stocks of between 1.5 and 2.5 years on average. This shows that this type of property is the only one with enough demand to run out in the short term. The market in coastal areas is better placed than the interior, but only as far as resales are concerned. When it comes to never-sold homes, properties on the coast are in the same position as the rest of the province. This supply would take between 5.5 years and up to a decade to run out. The study underlines the very noticeable imbalances in the property market in Castellon province. “A large proportion of the excess supply is in the wrong place for demand and its absorption by the market in the long term is technically impossible,” the study finds. Price trends are one of the most useful tools for taking the property market’s pulse. It’s worth noting that, while in the rest of Spain property prices went up by an average of 2.4% at the end of last year compared to the previous year, in Castellon province they continued to drop. Although prices went up nationally for the second year in a row after seven years of continued price drops since 2007, they haven’t behaved uniformly across the provinces. Castellon is still in the group of 25 Spanish provinces (out of a total 52) where property prices continued to fall last year due to “weak demand in the face of massive supply”. 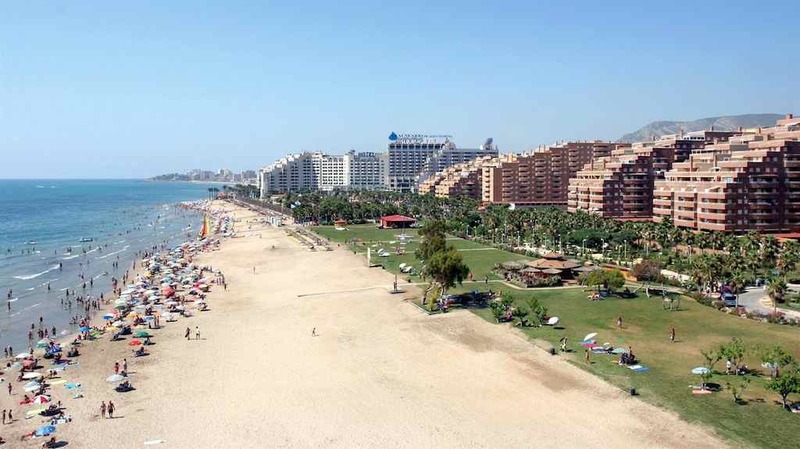 In total, property prices went down by between 1% and 2% on average in Castellón, despite its Mediterranean coastline. The decrease was higher for new-build properties with a drop of up to 3% compared to resale properties. However, some figures offer grounds for optimism. Activity within the market appears to be gradually picking up as seen in the figures for new-build starts. 2016 registered the lowest figures for finished properties and construction has grown this year. However, experts warn that building rates will remain subdued for years to come.